Your victory is an inspiration, Osinbajo congratulates French President-Elect Macron – Royal Times of Nigeria. Acting President Yemi Osinbajo has congratulated French President-Elect Emmanuel Macron on his election as the next President of France. 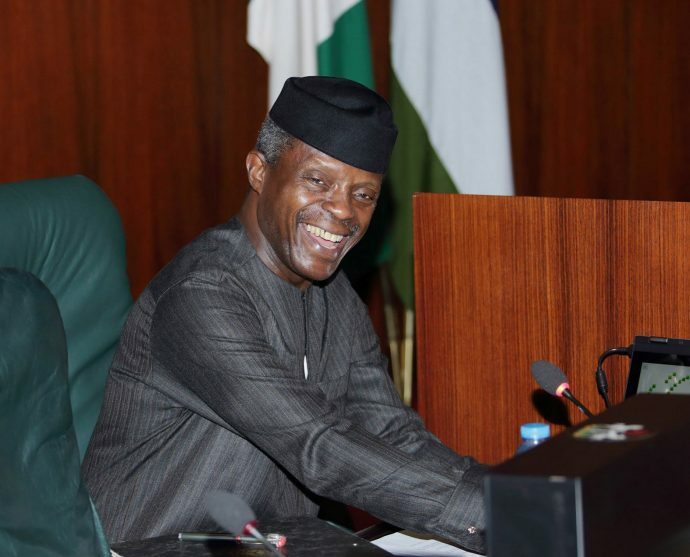 According to a statement released by his media aide, Laolu Akande, Osinbajo in a congratulatory letter said he was optimistic that the incoming government will further strengthen the bond of friendship between both countries. He added that Macron’s victory was a source of inspiration to the French people. The statement reads, “The Acting President expressed the optimism that the incoming government will further strengthen the bond of friendship between both countries. “Under the administration of President Muhammadu Buhari, according to the Acting President, there has been a very close collaboration between Nigeria and France in the war against terror and he commended the role played by France in the successes so far recorded in the implementation of the regional initiative against terrorism. “Prof Osinbajo observed that Macron’s election is a source of inspiration especially for the French people and portends a greater future in which the French Republic will continue to play its active role boosting relations with Europe, Africa and the rest of the world.